"The Investor's Business Daily Guide to the Markets is. . .clear,concise, innovative, and authoritative, giving you the informationyou need to make important investment decisions with confidence.Whether you're a new or experienced investor, you'll learn a greatdeal from this book. What a pleasure it is to discover a book thattells it like it is with no hidden agendas. It's sure to pay youdividends and capital gains again and again in the yearsahead." 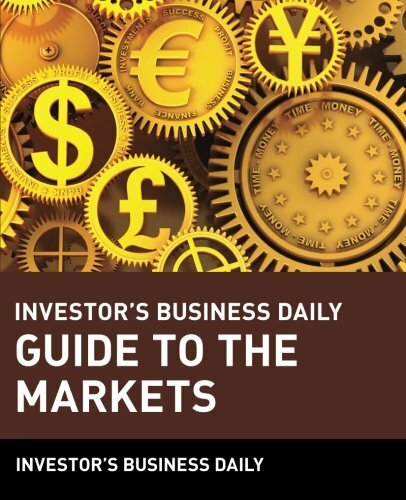 "Investor's Business Daily Guide to the Markets is thequintessential guide for anyone interested in gaining insight andhelpful information about the financial markets." --Louis G.Navellier, President, Navellier & Associates Inc., Editor, MPTReview. "A great book for people who want to understand the markets. Don'tmiss this comprehensive roundup--the mutual funds chapter alone isworth the price of the book." --James M. Benham, Chairman of theBoard, Benham Funds. "Developing an investment portfolio is like building a house: youmust start with a solid foundation. This book gives you theinvestment foundation you need. Buy it before you put anotherdollar in stocks, bonds, or mutual funds." --Ted Allrich. author,The Online Investor "The On-line Investor" (America Online). "Bill O'Neil, for years the unheralded hero of institutionalinvestors worldwide, began offering his expertise to the individualinvestor over ten years ago through Investor's Business Dailynewspaper. Now his Investor's Business Daily Guide to the Marketstakes the next step for investors by putting basic financialinformation into meaningful terms and useful strategies. This is a'must read' for all investors --big and small." --Richard W.Perkins, CFA, President and Portfolio Manager, Perkins CapitalManagement, Inc.